Chemistry is a branch of science that deals with the structure, properties, and constituents of matter/substances and their interactions with other forms of elements, compounds, and matter. The fundamental constituents of matter, i.e. atoms & molecules, form the bedrock of chemistry. The subject addresses topics such as how molecules interact through chemical bonds to give rise to new chemical compounds. Furthermore, the subject also deals with the kinetics of such interactions and transformations. Advances in chemistry have helped scientists in harnessing the energy associated with the atoms and molecules. Chemistry broadly encompasses five areas of study: physical chemistry, organic chemistry, inorganic chemistry, analytical chemistry, and biochemistry. 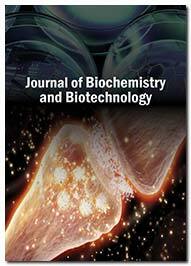 The journal focuses on the vast areas of biochemical and biotechnical research of every entity of the living system including enzymology, metabolism, immunology, endocrinology, recombinant DNA technology, cell biology and pathological conditions in the biological system. The journal of chemical technology and applications focuses on the topics of chemical engineering, catalysis, leather processing, corrosion & metallurgy, applied chemistry, polymerization, membrane separation, reaction engineering, biochemical engineering, and petroleum technology. The journal covers the studies that involves the separation, detection, identification and quantification of biological samples in different settings. Techniques such as spectrophotometry, immunoassays, and electrophoresis are also used in clinical chemistry to measure the concentration of substances such as glucose, lipids, enzymes, electrolytes, hormones, proteins, and other metabolic products present in human fluids. 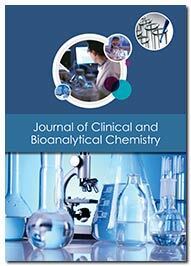 The journal encourages research covering wide areas of Industrial and Environmental chemistry, including atmospheric, aquatic and soil chemistry, process control, chemical reactor, electrochemistry, environmental toxicology, environmental radioactivity, pollution research, green chemistry, petro chemistry, biochemical methods, catalysts, polymers, coatings, membranes, lubricants, etc. 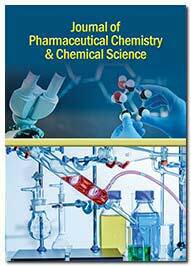 The journal accepts articles from the disciplines like pharmaceutical technology, pharmacognosy, pharmaceutics, biopharmaceutics, pharmacokinetics, molecular modelling, pharmacology, pharmaceutical analysis, clinical and hospital pharmacy, drug design, organic synthesis, medicinal chemistry, pharmacoeconomics etc.